Avoid frozen pipes. During winter, it is advisable that you keep an eye on water pressure; and the first sign that your water pipes are frozen is restricted water flow. When you notice this, it is important that you act fast. Call Rescue Rooter/ARS today. During the evening when temperatures are coldest, let the water trickle from the faucets at a width that’s slightly smaller than a pencil’s. This will help prevent freezing since moving water doesn’t freeze. After you have disconnected your garden hoses, consider installing an exterior, insulated faucet jacket. Faucet jackets are handy as they are designed to protect outdoor faucets and the connecting lines that run into your home from freezing over. Use the shut-off valves found inside your home to drain all the water in pipes leading to outdoor hoses. Shut-off valves are typically found in crawl spaces, under sinks, in basements, or near your meter or water heater. However, homes are different, and there are some that do not have these valves. Allowing warm air to circulate around your home can help keep pipes within your walls from freezing. Consider keeping your house temperature at above 55° to keep your pipes from freezing. Also, consider leaving your under-sink and faucet cabinet doors, and those near exterior walls, open so that warm air can reach your pipes much easily, keeping them warmer. One of the simplest winter home tips is ensuring that you keep your garage doors and crawl space vents closed, especially if your home’s water heater is installed in the garage. Look to see if snow is restricting your water drainage system. Keep an eye on the area around your sump pump’s discharge line, which is used to prevent indoor flooding by draining excess water from the basement. If the line is blocked by snow or is flowing into a puddle, this could lead to freezing and water could end up flowing back into the house. The best line of defense when trying to ensure that your plumbing system is running as it should is to consider scheduling annual maintenance inspections. 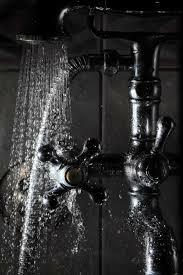 This way, any plumbing problems can be identified before it is too late.